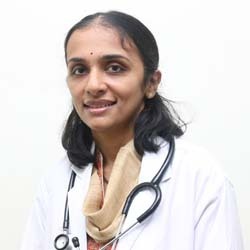 Dr Swathi Gogineni is an Obstetric & Gynaecologist and Infertility Specialist practicing at Apollo Cradle, Jubilee Hills, Hyderabad with an experience of 10 years in these fields. She also practices at Cradle clinic, Manikonda, Hyderabad. She completed MBBS from Osmania Medical College, Hyderabad in 2004 and MS – Obstetrics & Gynaecology from Osmania Medical College in 2008. She is a Member of Obstetric & Gynaecological Society Of Hyderabad (FOGSI). Some of the services provided by the doctor are: Ante-natal Care; Infertility workup on IUI, IVF ; Normal Delivery; Cesarean delivery; Family Planning; Gynaec Surgeries etc.